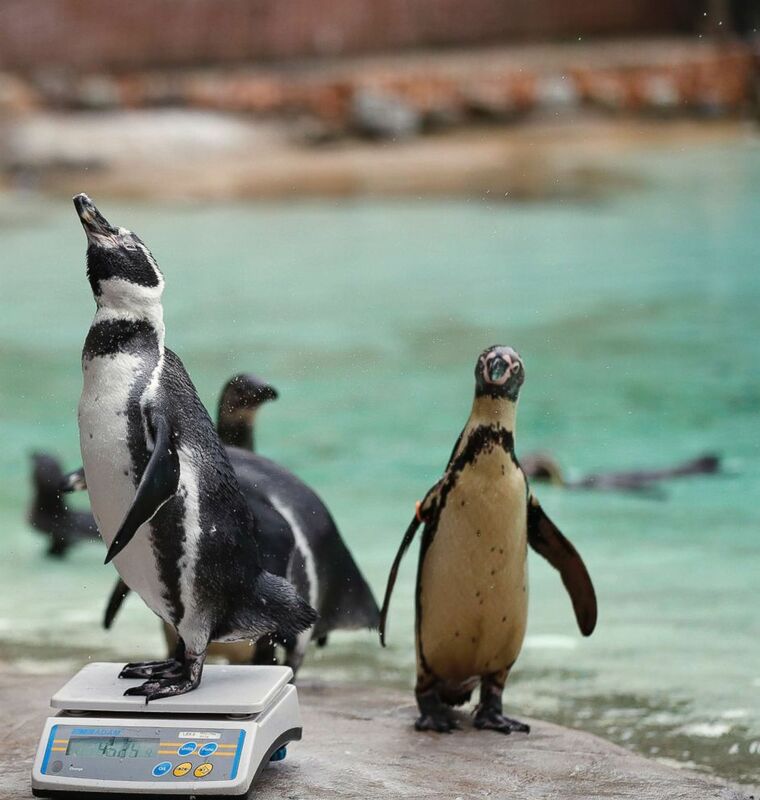 The London Zoo put all of its animals on the scales Thursday in its annual weigh-in event. 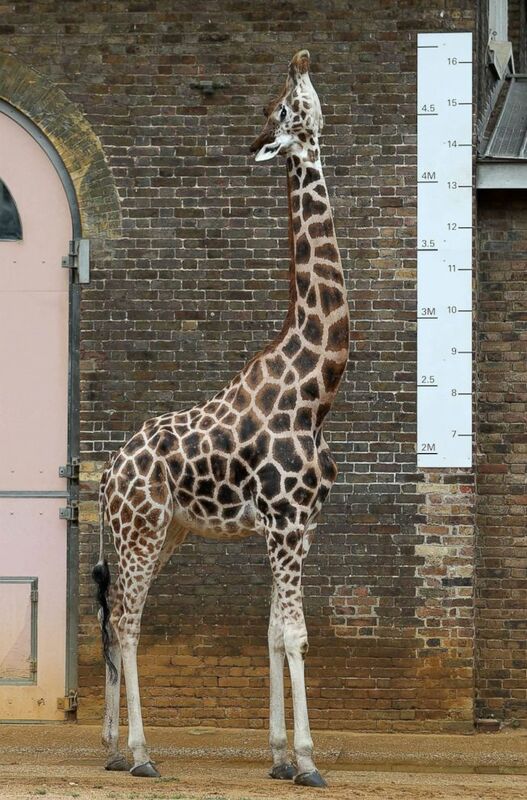 A giraffe stands next to a measuring scale at the London Zoo, Aug. 23, 2018. The Zoological Society of London's zoo is home to more than 19,000 animals. 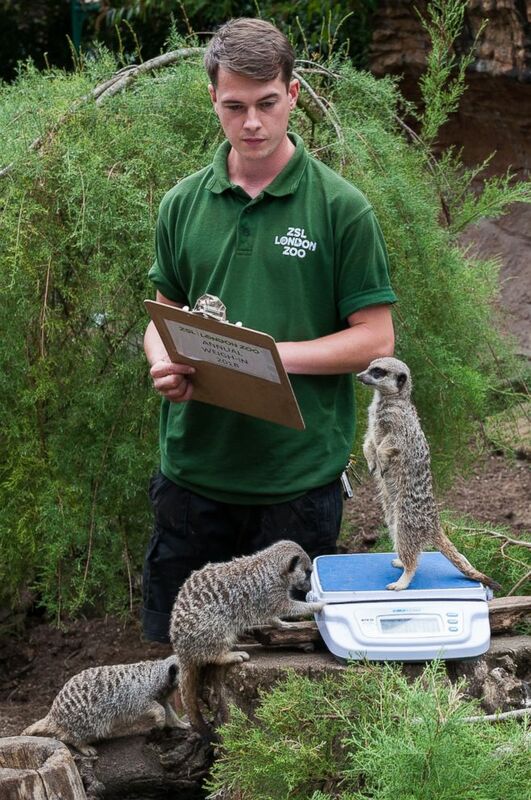 The weigh-in is an opportunity for zookeepers to make sure the information they have recorded is up-to-date. The animals' weights will be added to an international database to share with zoos around the globe. 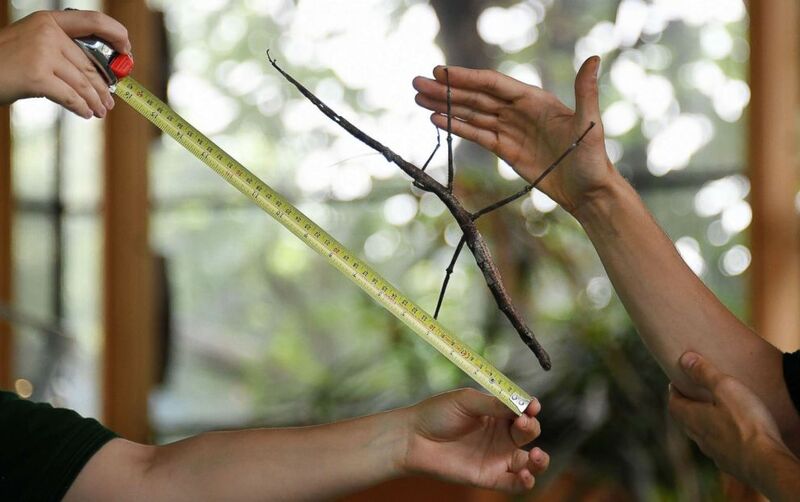 London Zoo keepers measure a Giant Asian Stick Insect during the annual weigh-in at the London Zoo, in London, Aug. 23, 2018. Zookeepers had to come up with some creative ways to get the animals to cooperate. For instance, the all-female group of giraffes -- Maggie, Mollie and Ellish -- were lured over to a towering ruler with fresh vegetables to measure their height. A penguin reacts with a zoo keeper as it stands on weighing scales for the Zoo's annual weigh in, in London, Aug. 23, 2018. It's also important that zookeepers monitor the animals' general well-being and identify possible pregnancies since many species at the zoo are endangered and part of international breeding programs. 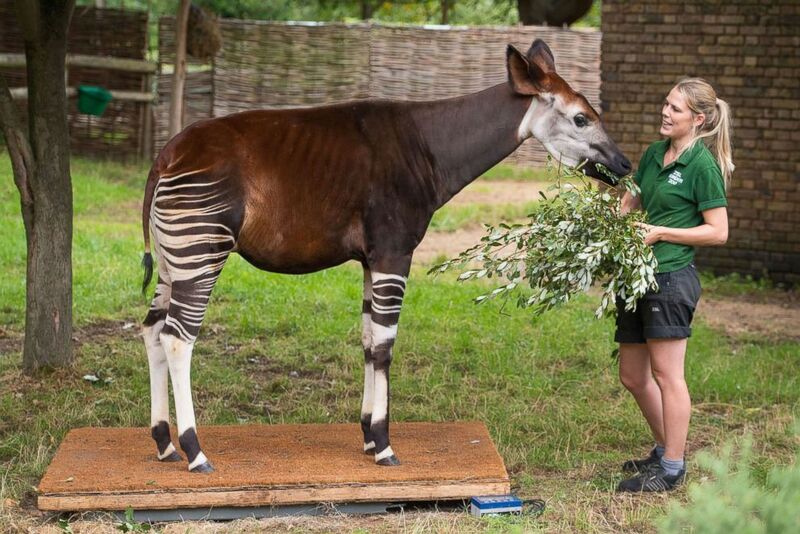 An Okapi stands on a set of scales during the annual weigh-in at ZSL London Zoo, Aug. 23, 2018. "We have to know the vital statistics of every animal at the zoo -- however big or small," zoological manager Mark Habben said in a statement Thursday. "It helps us to ensure that every animal we look after is healthy, eating well and growing at the rate it should -- weight is a particularly important indicator of health, and we can even detect pregnancies through a growing waistline!" A zookeeper weighs meerkats during the annual weigh-in at ZSL London Zoo, Aug. 23, 2018. "By sharing information with other zoos and conservationists worldwide, we can all use this knowledge to better care for the endangered species we’re striving to protect," Habben added. 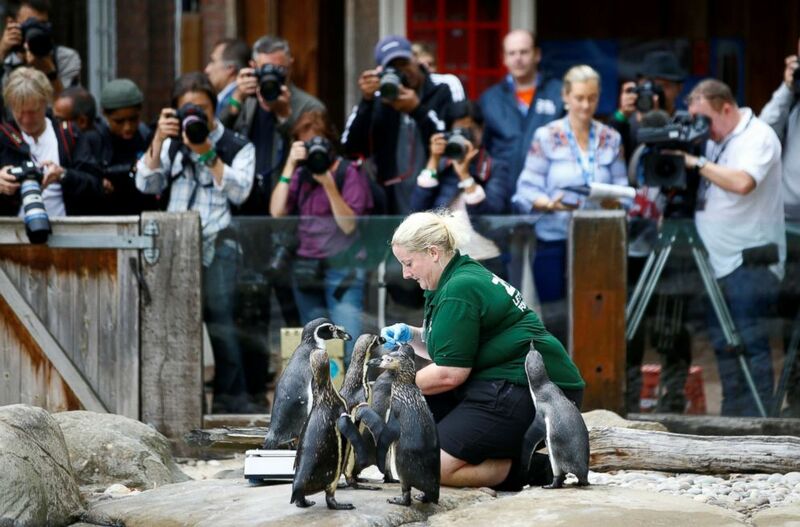 Penguins are weighed by a zookeeper during the annual weigh-in at ZSL London Zoo in London, Aug. 23, 2018. 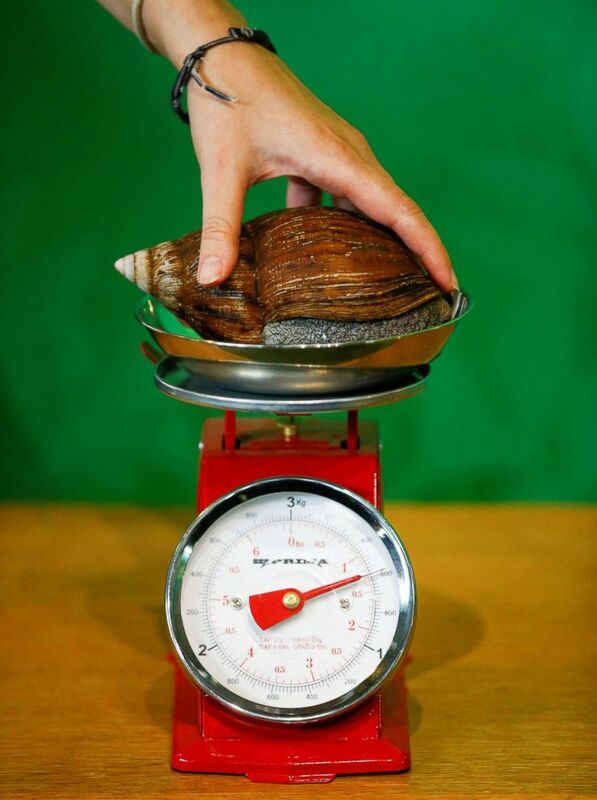 A West African giant land snail can be seen during the annual weigh-in at ZSL London Zoo in London, Aug. 23, 2018. 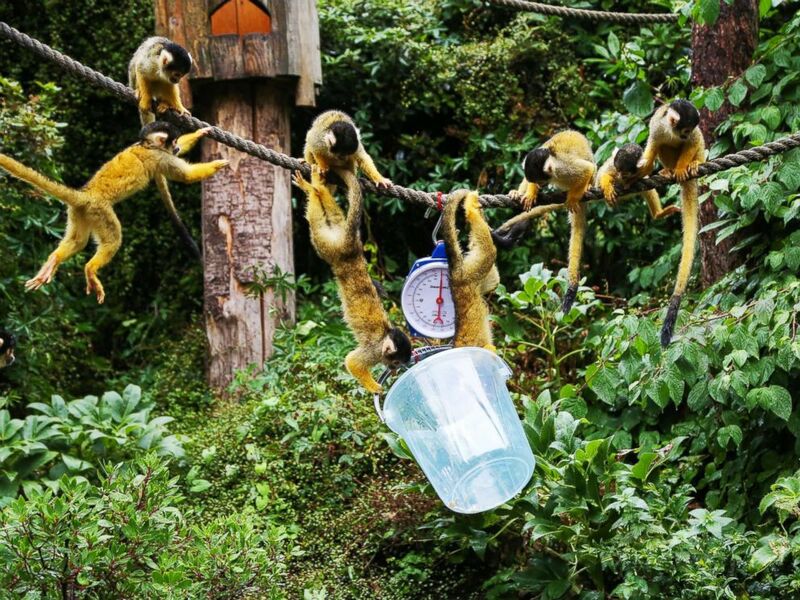 Squirrel Monkeys weighed during the annual weigh-in at ZSL London Zoo, in London, Aug. 23, 2018. 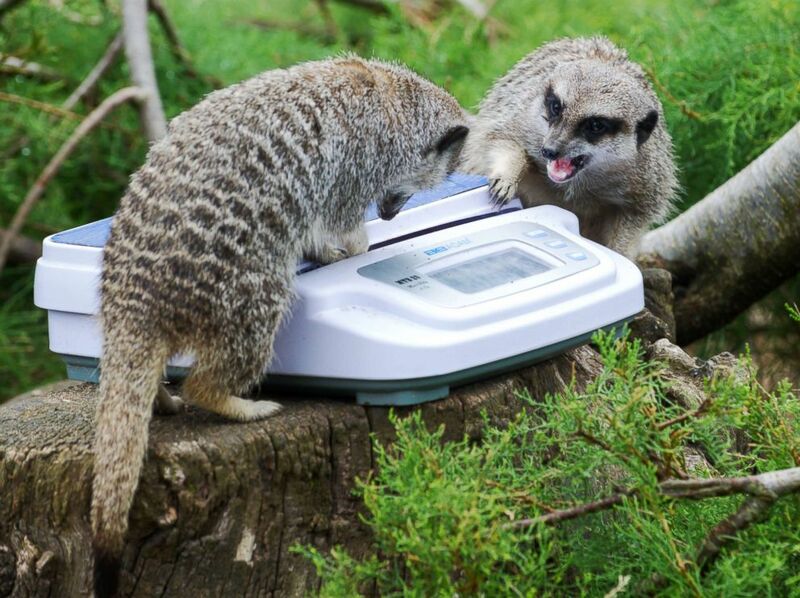 Meerkats during the annual weigh-in at ZSL London Zoo, Aug. 23, 2018.